Based in New South Wales, Australia, the client aims at accelerating marketing, sales and service transformation. Their customized solutions include Customer Strategy, Customer Process, People and Change, Customer Technology and more. Since 2001 they've helped enterprise-level clients with a team of data scientists, industry-experienced consultants and behavior change experts. Their reputed clients include ebay, TNT, Nestle Health Science, Big W, Coles, Bank of Ireland, Commonwealth Bank, Westpac and more. The client had a working relationship with O2I for the past 3 years. The client returned to O2I citing increasing cost advantages. 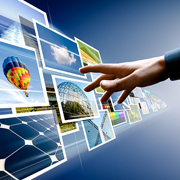 The client had a high-volume of images in the form of graphs, diagrams etc., and required image optimization services. Frequent Changes in Scope of Work - The client kept increasing the volume of images on a daily basis and required additional ad hoc resources at very short notice. On receiving the client's business enquiry, O2I performed an evaluation and Scope of Work assessment and a quality test (trial) was scheduled. During the first trial, the client sent O2I ten images via email. O2I assigned one resource to optimize the images. The resource optimized the images using Adobe Illustrator software i.e., changing labels, text in label images, adding new images, and uploaded the final files in a JPEG format via Dropbox. The client also provided O2I with additional plug-ins. O2I's resources had to use the plug-ins and access client provided scripts as part of the process to ensure all the files adhere to the guidelines contained therein, and to identify errors if any. The trial was successfully completed within one business day. During the second trial, the client sent O2I 500 files over a three-day period. O2I designated three full-time resources to complete the project and deliver the files (70 files a day for eight hours each day.) The second trial was successfully completed within three business days. Based on the success of the trials, the client signed a full-time ongoing contract to outsource more than 500-700 files to O2I daily. O2I assigned six full-time resources to handle the ongoing project. The resources optimize each image in seven minutes (including Quality Checks). The client was pleased with the speed with which we delivered the project. They emailed us commending our deftness and accuracy in such a short time period. Outsource2india is a reputed outsourcing provider with skilled and trained resources, providing outsourcing solutions for Creative, Data Management, Translation, Financial, Knowledge Process Outsourcing services and more. For a competitive edge, in any industry vertical, contact us, tell us your requirement and get a free quote within one business day.